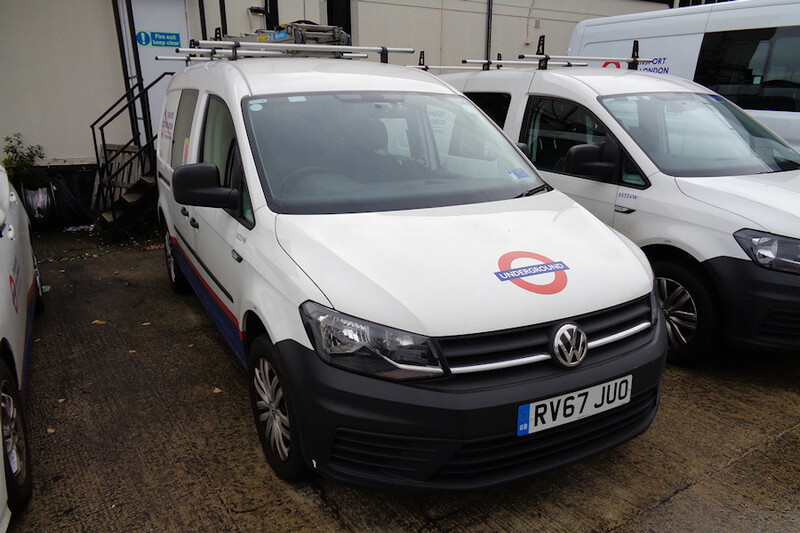 Details: There are around one hundred Volkswagen Caddy vans of various descriptions in the current central fleet, but very few of them have roof racks fitted. Among those few are the trio of 8533/4/5VW, all Maxi crew vans based at Acton Works. On 18th December 2018, Ray photographed 8535VW at the works, with 8533VW alongside. 8534VW was also parked nearby, while consecutively numbered Toyota Prius 8536T (which also has a rack and is often seen with a ladder on top) is just visible on the left.